Home Ramblings How to recover from Google Panda Update? How to recover from Google Panda Update? I tried lot of methods like optimizing my website by fixing HTML issues on Google Webmaster Tools. De-index all the category and tag pages from Google search index. All the paged pages (like page 2, page 3) are de-indexed too. But none of them are helping to improve the traffic in my case. So what did I do to improve my blog traffic? 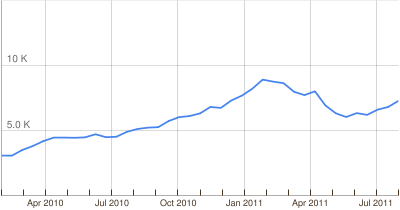 Finally, JayceOoi.com is getting back some traffic after international Google Panda Update on April. Recovery is hard and pain. Why? I had to write more quality articles to replace those lost traffic. Yes, the latest increased traffic is coming from new articles. I did not manage to gain back those lost traffic on certain keywords. They are gone forever. But this is not end of the world, we still can write better and more quality articles, right? Previous articleWhich keywords should I use?